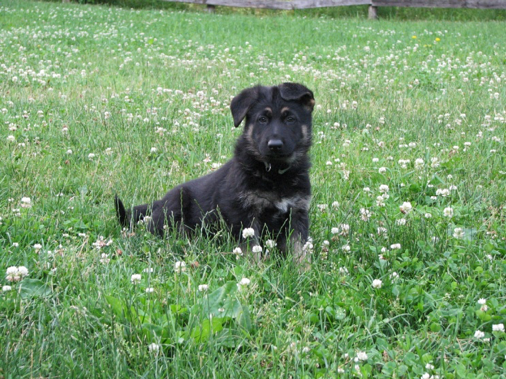 Breeders of dogs invest much of themselves into their dogs, as well as time and money. Therefore it should surprise no one that there are differences of opinions about the bloodlines. Strong advocates of the German bloodline proclaim that American dogs are inferior in both mind and body, unsuitable house pets and are unfit to do any type of work. Strong advocates of the American bloodline say the German line is highly prey driven, unruly, and vicious with uncontrollable energy. Who is right? We believe, neither is. 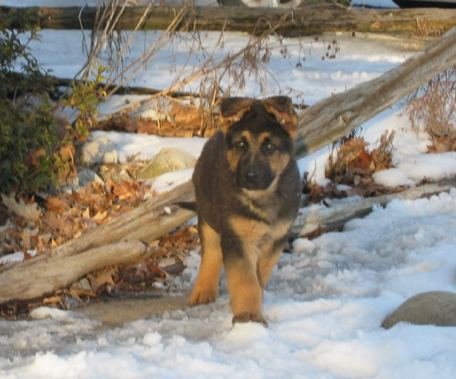 To put the whole argument into perspective, let's remember that all German Shepherd dogs originally came from Germany, therefore all German Shepherds carry German blood. Both the German and American bloodlines contain differing factions of the show and work lines. 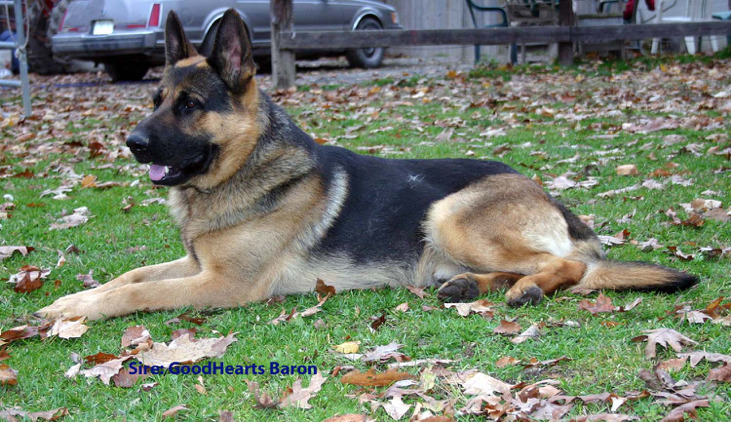 We believe both German and American lines have excellent examples of the good qualities needed in a German Shepherd dog and similarly, both have some very poor specimens. However, there is some truth to the generalizations, for example. On average, the working bloodline is stockier and heavy boned. It will have stronger drives with more athletic ability and have more energy than the show line; which tend to be narrow and lighter in body structure with finer heads. Their lower backs are noticeably more angulated downward and their gait extension is more extreme than the working line. 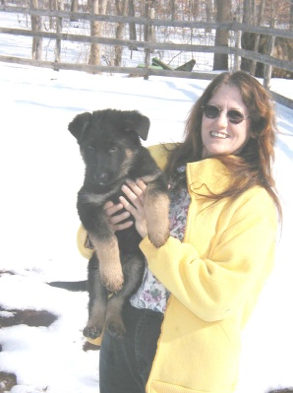 As noted, we choose our breeding stock because they have stable personalities and healthy confirmation and their pedigree indicate their parents were also excellent examples of the German Shepherd ideals. We personally prefer a dog closer to the original breed with a straighter back; neither overly angulated down nor roach backed (upward bend in spine). But Nature’s commitment to diversity is remarkable. 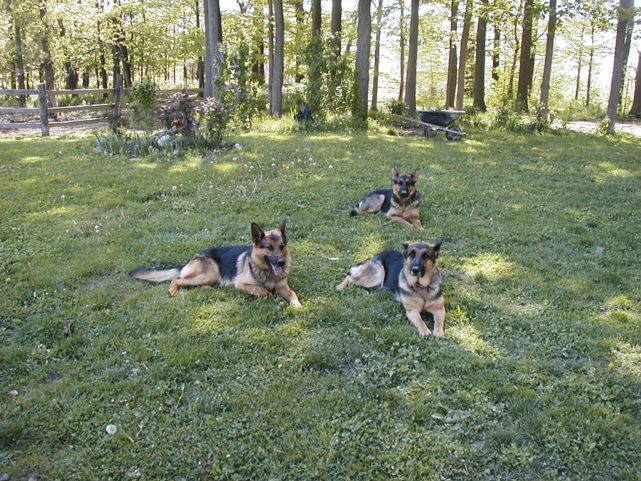 Even within the carefully developed German Shepherd bloodlines, no two dogs are exactly alike. 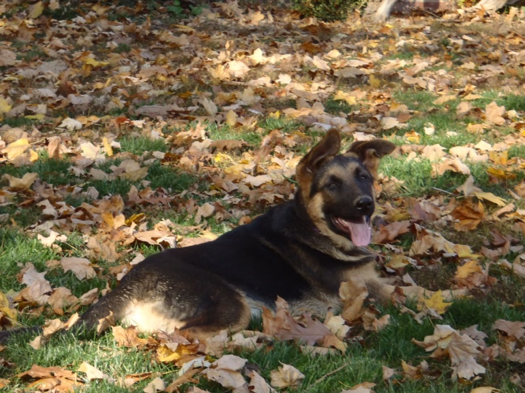 While the pedigree does make a difference, our emphasis is on breeding from German shepherd dogs that have demonstrated a good health history and a good temperament. We have found that this is the best way to consistently produce well-rounded puppies that are sound in both mind and body. However, each puppy has the potential in its gene pool to succeed in any discipline. After all of our careful breeding selection, all puppies are all different. Each has its own personality and must be judged on its own merits. Each litter has its more assertive pups and its gentle pups as each unique combination of genes create a similar but different puppy. And of course, part of this difference is the environment. Science is now showing us that powerful as genes are, the environment itself is affecting which genes are expressed making early socialization and a healthy lifestyle from birth a big part of making what every dog owner will tell you is their own perfect companion.